Make your celebration mean even more. Share it with a charity that's meaningful to you while saving for a group gift you'll love. Party with a purpose! Choose from one of our specially designed invitations to send to your friends and family. Select a charity to share your joy and generosity. Click on the charity name to learn more about it. Once the event is saved, there can NO longer be a change to the charity. 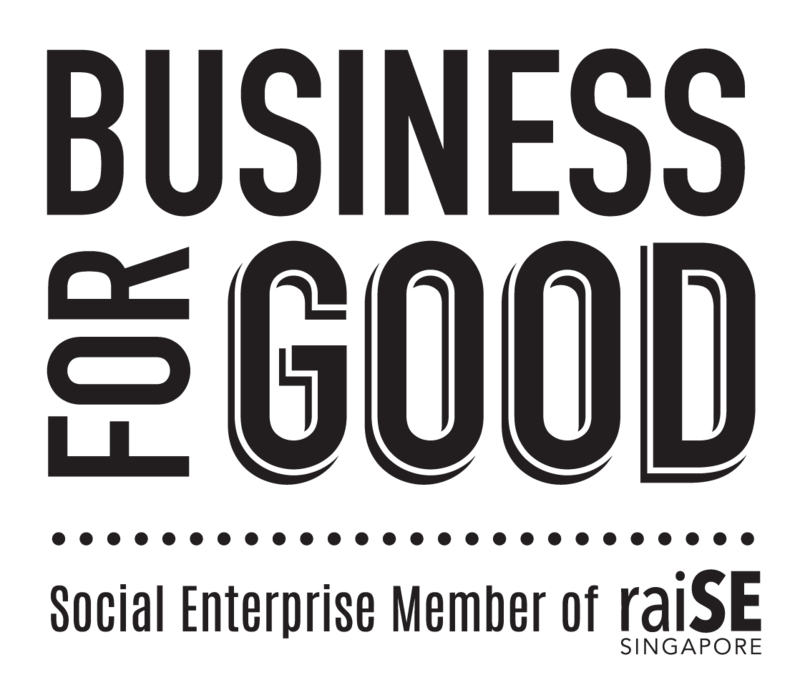 Aidha is an award-winning charity that offers financial education and self-development programmes such as money management, computer literacy, communication and entrepreneurial skills for foreign domestic workers and lower-income women in Singapore. Aidha envisions 'sustainable futures through financial education' so that every woman has the opportunity to determine her own future. Started under the auspices of UNIFEM Singapore (now UN Women Singapore), Aidha became an organisation in its own right in 2006 and has taught over 4,000 women since then. The skills our students learn enable them to better manage their finances and help them break out of the cycle of poverty by meeting savings goals and developing and achieving long-term financial plans, including, for many, starting their own businesses. 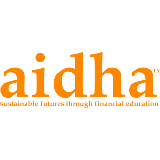 Aidha's impact data shows that monthly savings increase by nearly 80% amongst alumni. They also double the number of productive assets they own and business ownership increases from 6% to over 40% amongst our alumni. With Aidha students sharing their skills with their families and friends, a whole community benefits, making the multiplier effect of our financial literacy programme significant and life-changing. By educating one woman, we can help impact nine lives. By 2030, the number of people living with dementia in Singapore is expected to rise to over 100,000. In the high income countries, the cost of dementia care is already more than that for cancer and heart disease combined. This confronting figure means that a growing number of individuals are being adversely impacted by the condition as they face significant challenges such as an erosion of identity, loss of quality of life and social isolation. The Alzheimer’s Disease Association (ADA) was formed in 1990 as a response to this growing concern for the needs of persons with dementia and their families. Made up of caregivers, professionals and all who are interested in dementia, ADA journeys with persons with dementia, their families and their caregivers by offering care and support. ADA strives to provide quality services and meaningful activities within a dementia-conducive environment for persons with dementia, which focuses on their remaining strengths and capabilities to try and overcome their debilitating condition. The Association offers day care and home care services for persons with dementia; caregiver support services such as Helpline, counselling, support group meetings and respite programmes; and dementia care training for family caregivers, domestic helpers and professional caregivers. ADA conducts public education talks as part of their efforts to increase awareness, to remove stigma, and to advocate for persons with dementia. You can play your part in creating a dementia inclusive society through your efforts and contribution. With your support, more individuals with dementia and their families would be able to thrive while receiving the care and support they need to continue living in the community with dignity and respect. Babes Pregnancy Crisis Support Ltd (Babes) proactively reaches out to anyone aged 21 and below needing support with their pregnancy so that she is aware of her options and is able to make an informed decision with regard to her pregnancy. Babes takes a “mother-centric” approach and will support her choices with a view to nurturing longer-term, on-going support from family, friends, volunteers and the wider community and a normal life for her. Babes advocates for a more inclusive society where pregnant teenagers do not have to feel marginalised or estranged. The Centre for Fathering (CFF) was officially launched on Father's Day in 2000, and founded on the belief that an active and involved father is essential for a child's successful development. CFF has helped countless families - and fathers in particular - through their father-child experiential and fathering workshops conducted in schools, prisons, religious organisations and companies. They organize three nation-wide events every year, namely Back to School with Dad (January), Eat with Your Family Day (May) and Celebrating Fathers (June), to remind and encourage fathers to set aside time to be with their families and to help create a culture that promotes Active Fathering. CFF is also the organization behind the "Dads for Life" movement to inspire and involve fathers to be good influencers in their children's lives for LIFE. 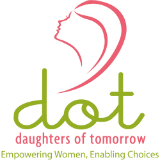 Daughter Of Tomorrow's mission is to facilitate livelihood opportunities for underprivileged women, and support them in building financially independent and resilient families. They help families forge better futures by supporting underprivileged women with confidence and practical support in their back-to-work journeys. $1000 provides a mom with access to DOT's Confidence Curriculum training, befriending services and 6 months of employment bridging support. Help empower women with support towardsemployment, so that they and their children have hope for a better future. A part of the wider Habitat for Humanity International family, Habitat for Humanity Singapore's vision is a world where everyone has a decent place to live. Habitat Singapore works to eliminate poverty housing in the Asia Pacific by building decent houses with the help of homeowner families and volunteers. Locally, they serve vulnerable elderly and those with disabilities, living in one- and two-room rental flats, by cleaning their homes and providing basic furniture. They believe a decent home is a basic human right, and the key to breaking the poverty cycle. Your generous donation will be stretched to meet urgent housing needs on the ground both locally and in the region. Together, we can build strength, stability and self-reliance through shelter. HighPoint Halfway House, a programme of HCSA Community Services Association, and helps male ex-offenders increase psychological capacities, help them find gainful employment, accommodation and work skills to reintegrate back to their families and community. Though ex-offenders have paid their debts to society, many have lost important years of life during which they would have been educated and trained to certifiable levels of knowledge and skill. With weak education, limited working abilities and poor coping skills, while facing the dangers of being drawn by ‘old friends’ back into their former habits of vice or crime, the best form of recovery and quality of life can be found in a healthy family life through reconciliation or marriage. HighPoint will provide a safe place for residents and ex-residents to continue to rebuild trust and restore relationships especially with family members. Lions Befrienders has more than 20 years of history in working with the community to provide friendship and care for seniors to age in place with community participation, enabling them to enjoy meaningful and enriching lives. Since inception, they have reached out to some 20,000 seniors under their Befriending and Community Outreach Services with the help of more than 3,000 trained volunteers. Playeum is a non-profit, independent organisation that champions children through play and creativity, and is also an advocate and promoter of the voice and rights of children. They see children as authentic cultural citizens. They run Asia’s first Children’s Centre for Creativity currently located at the serene settings of Gillman Barracks. The Centre is open to ALL children, where they can play freely everyday 6 days a week. For those where fees are a consideration, they have the Play-It-Forward fund where donors pay it forward. Playeum does social impact work with children from challenging backgrounds through high touch programmes and workshops that use play to enhance social emotional learning and confidence building. They work closely with community partners such as Family Service Centres (FSCs), Children’s Homes and Child Protection Services to ensure that children from disadvantaged backgrounds have the space and time to play creatively alongside everyone else. If you would like to support them further, please visit www.playeum.com/support-us. Spreading the word, joining their mailing list or liking them on Facebook (facebook.com/playeum) also goes a long way! For more information, please contact them at share@playeum.com. SOSD is a voluntary welfare organization that focuses on the rescue, rehabilitation and re-homing of Singapore’s homeless dogs, management of the stray dog population, advocacy for animal welfare, and implementing programs that contribute to the wellbeing of both humans and canines. We are a charity made up of volunteers from all walks of life, coming together with the purpose of pursuing change and advocating better welfare for homeless abandoned animals, by managing their integration and acceptance in society. SOSD is comprised of approximately 400 volunteers and only 6 paid staff. The Society for the Prevention of Cruelty to Animals (SPCA) is a registered animal welfare charity with IPC status. The SPCA is not a government agency. They rely on donations from their supporters to continue their important role as animal protector. Over $2,400,000 annually is required to carry out their animal welfare work. They run a 24-hour emergency animal rescue, an inspectorate investigating cruelty and welfare complaints, a free clinic for community dogs and cats, a shelter for abandoned, unwanted and abused animals, a lost and found service, education and advocacy programs and more. 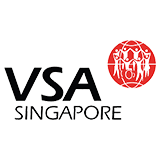 Launched in September 1993 by Singapore’s Ambassador-at-Large, Professor Tommy Koh, Very Special Arts Singapore (VSA) is a local charity organisation dedicated to providing access and opportunities for people with disabilities in our community to be involved in the arts. VSA strives to promote vocational and social benefits of visual, performing and literary arts; integrates individuals with disabilities into mainstream society and assists them to obtain independence through the arts. Upload an image to make your invitation more personal! Select how much of your proceeds will be donated to your charity. Select carefully as this cannot be changed once your invitation is saved. Any gift is meaningful-- sharing is caring! I give permission to be featured on Superstars page. Show guestlist to all guests.